Our district is pretty excited this year to be continuing to make connections in this community. This fall and winter, units from our district have been building a relationship with LJ Christmas Manor, a local senior citizens highrise complex under the sponsorship of the Lions Club. This vibrant community of seniors have been happy to receive our units, and our girls have been so welcomed that we hope to make return visits. 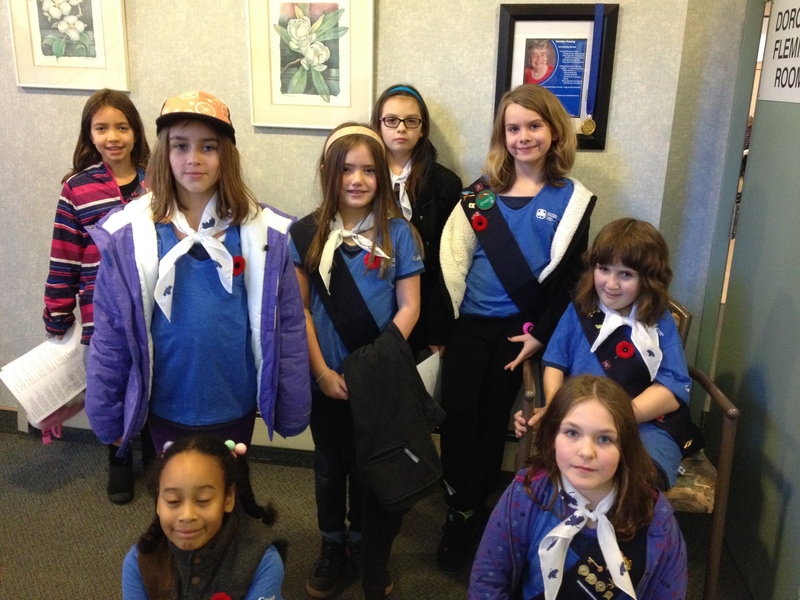 In November the 22nd Guides did a Remembrance Day visit. They sang some of Guiding’s more traditional and sombre songs in honour of the occasion and shared a snack with residents afterwards. 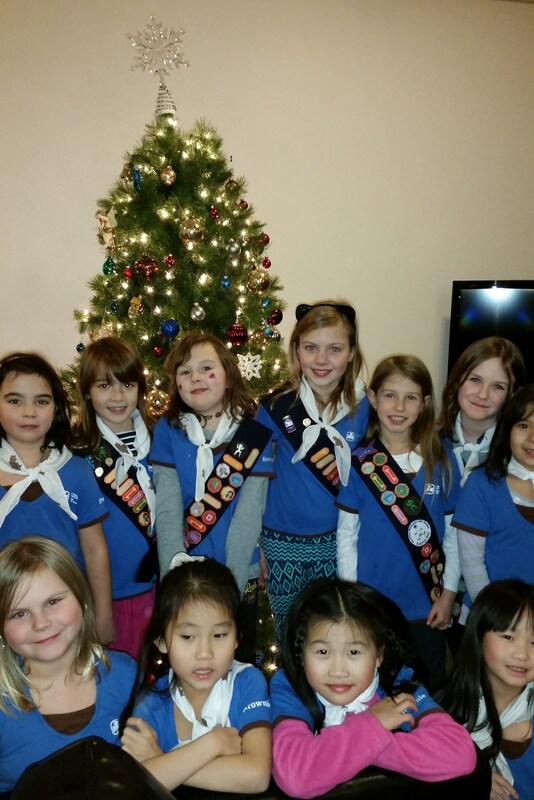 In December the 54th Brownies visited and sang a campfire that mixed traditional campfire songs (including some silly ones!) with Christmas carols. The girls then gave out Christmas themed gift bags with handmade ornaments and cards. 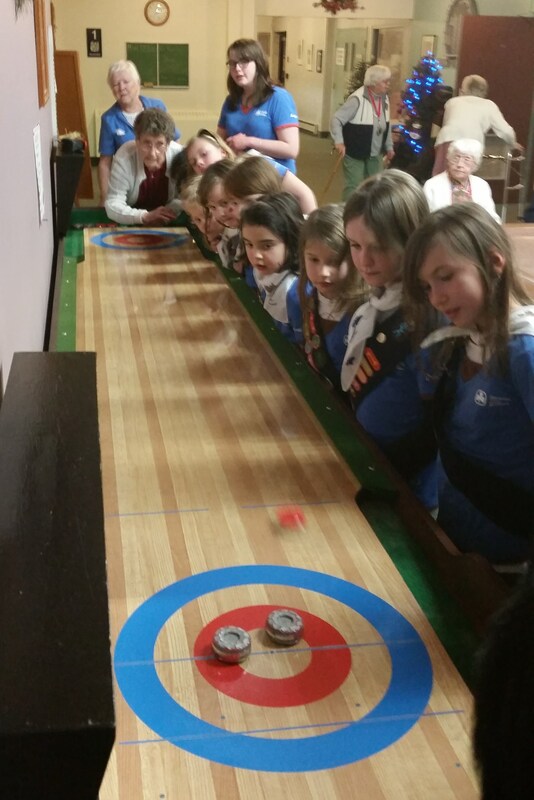 As an added bonus, the Brownies ended up invited to watch a shuffleboard tournament happening down the hall and were given a lesson! For many, this was the first time they had encountered the game. Thanks for having us, Christmas Manor! Hopefully some of our units will be able to make it out to visit you this Spring.